The Judiciary Committee heard testimony on a bill Feb. 1 that would create a more transparent parole process. 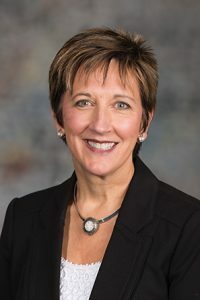 Under LB868, introduced by Lincoln Sen. Patty Pansing Brooks, if an inmate is denied parole based on a lack of available programming, the Nebraska Board of Parole would be required to inform the state Department of Correctional Services within 10 days. expedite or increase the likelihood of the inmate’s release. Pansing Brooks said there is a vicious cycle of problems in the correctional system related to overcrowding that must be addressed. The department would be required to implement the recommended programming within 30 days. An inmate could refuse programming, in which case the department would be required to obtain a written statement verifying the refusal. The bill would require that an annual report be prepared by the department and submitted to the inspector general of the Nebraska Correctional System detailing the circumstances surrounding inmates for whom parole has been deferred due to lack of programming. ACLU Nebraska representative Spike Eickholt spoke in support of the bill, saying it would codify a simple process for inmates to follow and potentially be paroled. Jason Witmer, who was formerly incarcerated, also supported the bill. He said the programming he received as an inmate helped him turn his life around and have a positive impact on other inmates being released from the system.